One of the top questions that I get asked is: “how can I use my custom fields within a Global Snippet?”. So it’s worth writing about it. Most of the plugins store data into the wp_options or wp_postmeta table. So the first thing to find out is where the plugin stores data exactly and in which format. As you may know I also have a WordPress Rating Plugin that some of my customers are using. It stores data into the wp_postmeta table to each post. wpbph_rating_count for the rating count; stored as a number. wpbph_rating_average for the rating value; stored as a number. wpbph_ratings for the good and bad ratings; stored as an array of values. It’s important to know in which format the data is stored. If you don’t know that please ask the developer of the plugin you’re using. Scroll down to learn more about how to fetch more complex data from the database. I activate the Purple Heart Rating plugin for all posts. Open up the Global Snippet for an Article. 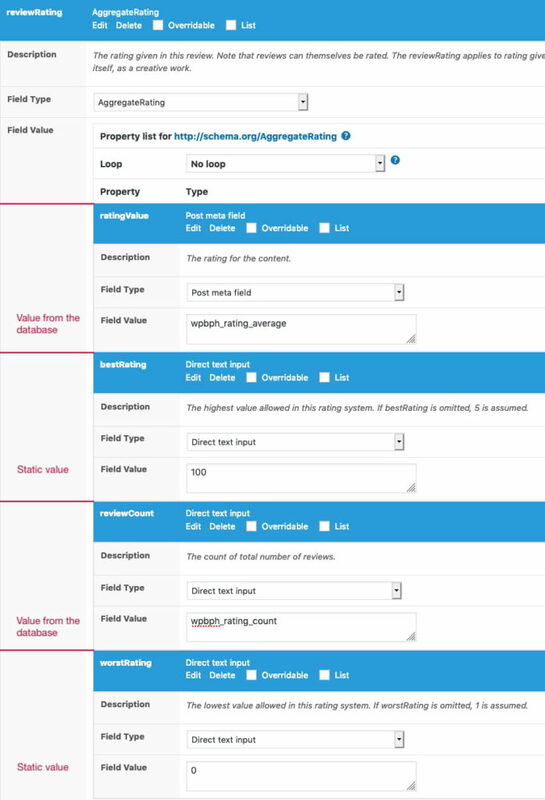 Integrate the aggregateRating property into the global Article schema. Note: Please note you maybe need to use ratingCount instead of reviewCount depending on what you want to do. Of course some plugins store data in various formats. PHP (the programming language behind WordPress) allows to save objects and arrays. 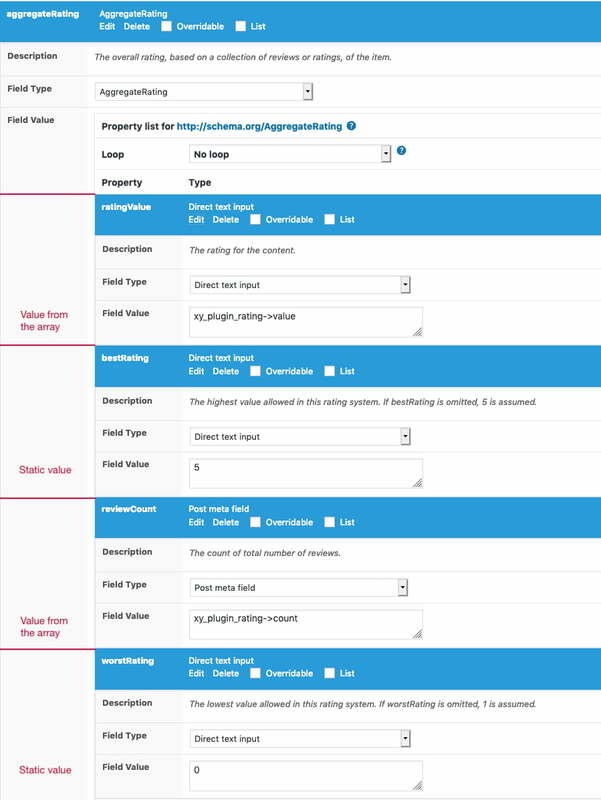 If a plugin stores data in one of the mentioned formats you can use arrows in the post meta field like shown below. Let’s assume that I’m using a rating plugin that stores all the data as an array in the postmeta database table with the name xy_plugin_rating.